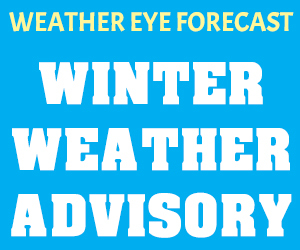 The National Weather Service has issued a Winter Weather Advisory for Rutherford County through Friday evening. Snowfall accumulations of between a half-and-inch and two-inches is possible here in Rutherford County and much of Middle Tennessee. Areas around the Cumberland Plateau can expect a little more. Stay with NewsRadio WGNS, who along with our Weather Eye team of meteorologists and forecasters at the National Weather Service, will keep you updated. Plus, if there are any school or event cancellations, postponments or delays, we'll have them for you on-air and online at WGNSRadio.com in our Snow Patrol Report.